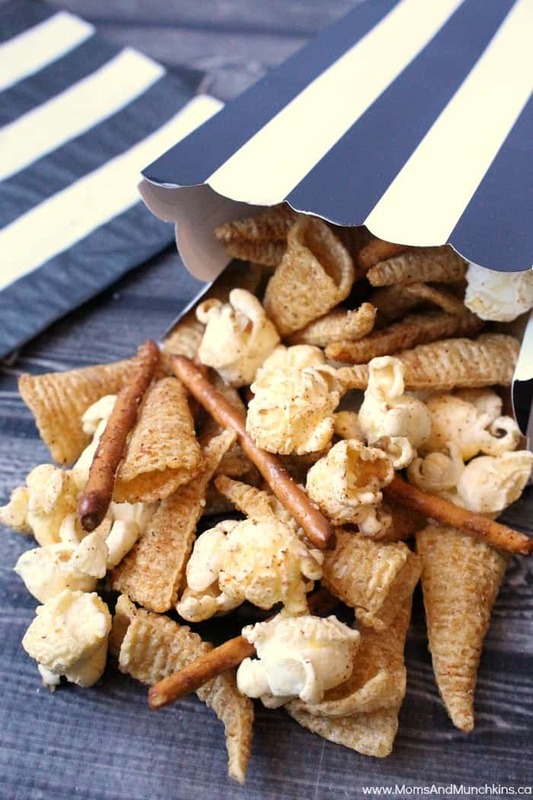 This Cheesy Ranch Snack Mix is a delicious idea for your next family movie night! It’s really easy to make & you’ll have it ready in less than 10 minutes. Your kids can help make this one too by dumping all the ingredients into the bowl before it goes into the microwave. You can easily double this recipe to make enough to last you a couple of movie nights. 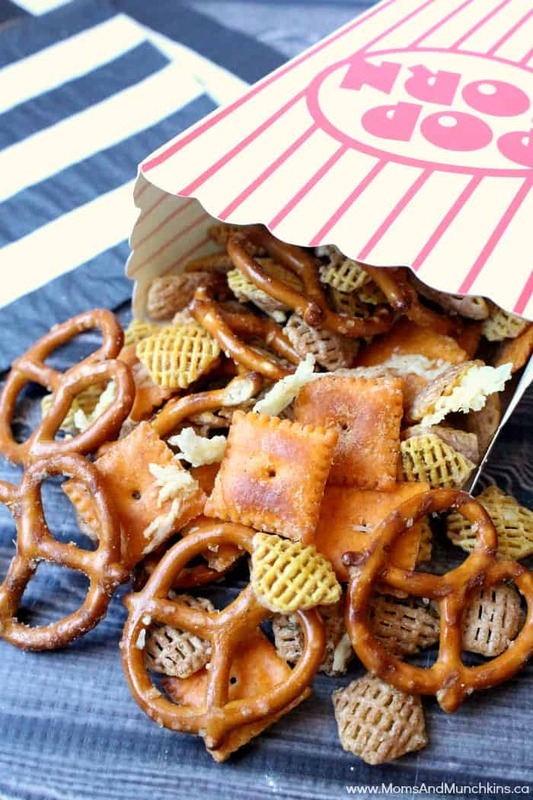 In a large microwavable bowl, mix cereal, pretzels and crackers. Pour melted butter over cereal mixture and stir until evenly coated. Stir in dressing mix and cheese until evenly coated. For another tasty snack mix recipe, check out this Southwest Snack Mix. 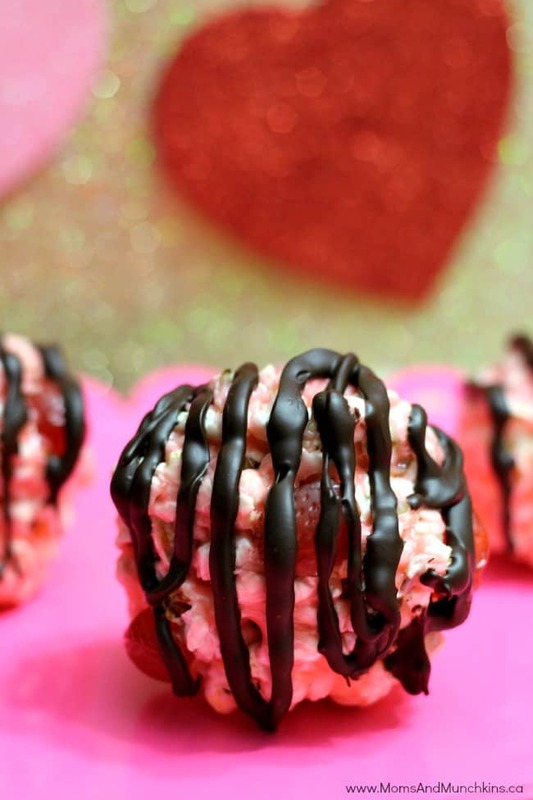 If you’re looking for a sweet popcorn treat, these Chocolate Strawberry Popcorn Balls are delicious! 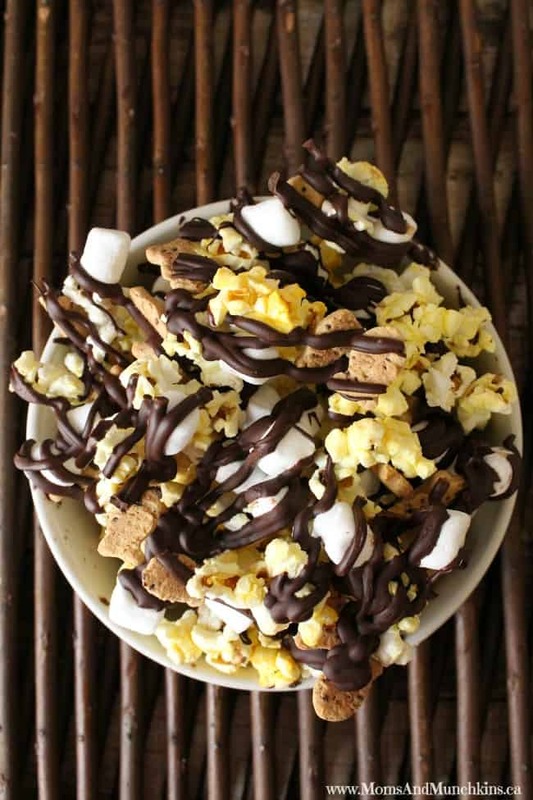 This easy S’mores Popcorn is another sweet treat idea when you’re craving more sweet and less salt. 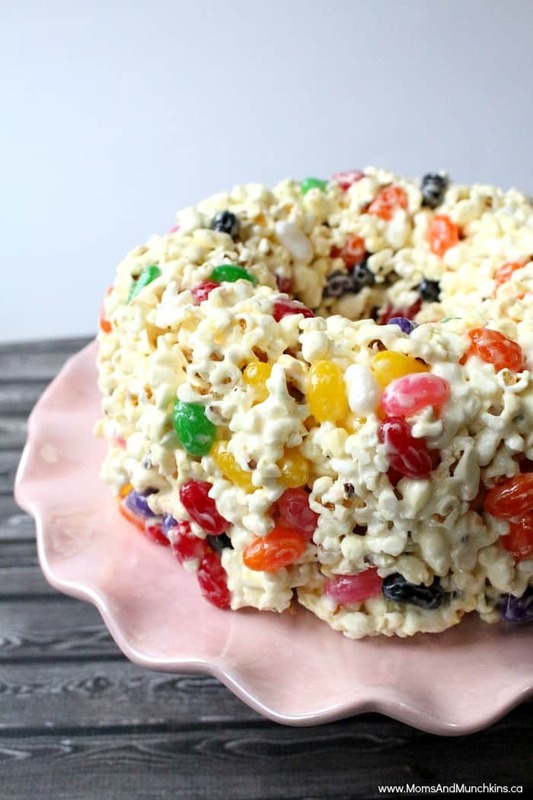 For the ultimate sweet popcorn treat, check out my grandma’s family-famous popcorn cake! We always make this one around the holidays and everyone loves it! In this recipe I used jelly beans but you can also use jujubes. I’ve tried to make it with candy coated chocolate (like M&M’s) but I end up with a melted chocolate mess. If you want to add chocolate, I’d suggest sticking some chocolate to the outside of the cake after you’ve finished stirring it and once it’s had a chance to cool a bit. Never miss a delicious update by following along on Facebook, Twitter, Pinterest and Instagram. Oh I love a good salty snack at a party, thanks for sharing! Cheese and ranch combined?! Sold. Great recipes, thanks so much for sharing! Stopping by from the Thursday’s Favorite Things hop, and I’d love for you to drop by my blog if you get the chance. Have a fabulous weekend! oooh options. These all sound yummy. Thanks for sharing your inspiration on this week’s Motivated Monday at BeColorful.